Multiple dwelling unit wireless, or MDU WiFi, is an added convenience property owners can offer their tenants. Whether it is an apartment building, condominium, or dorm, the challenges of providing Internet service to each unit remains the same. Tenants want fast and reliable Internet service throughout their living areas. Buildings that have multiple vendors performing installations to each unit can create maintenance hassles. Providing MDU wireless throughout a building minimizes the number of cables running between floors and units, which eliminates the confusion that can occur when technicians from different companies perform work in the same areas. MDU wireless is also a way for building owners to generate additional revenue from tenants that purchase their Internet services directly from the building owner. MDU wireless installations are the easiest way of providing Internet access to all of a building’s tenants. 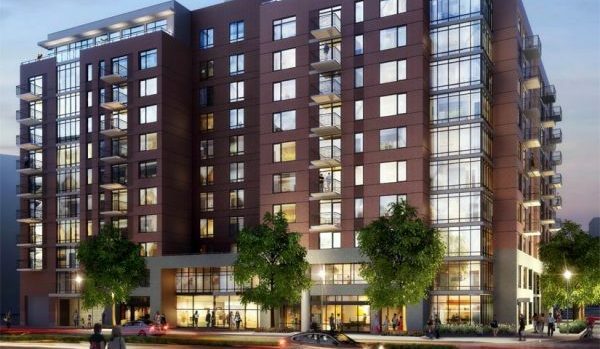 MDU wireless avoids the need to run additional cables to each room in an apartment or condominium, and dealing with multiple vendors that have no incentive to make sure installations are clean and easy to troubleshoot. Repair technicians make many service calls to apartments to fix a problem caused by an installation in another apartment. This happens frequently when cables become jumbled in utility closets and are no longer easy to service. Even when a building owner restricts the number of vendors that can work on the building infrastructure, there is no guarantee that their work will not create problems for other tenants. MDU wireless eliminates many of the cables needed for hard-wired data connections. The wireless access points (WAPs) do not their need cables replaced if the building changes ISPs. Tenants that want to switch from a cable based Internet service to a fiber optic service may often times need new wires if it is the first time that service is being installed. MDU wireless is more convenient for tenants, as well. Many apartment buildings still need ISPs to activate services for the building’s tenants. This requires that the ISP send a technician to the site to turn on the service. Anyone who has dealt with a cable company is familiar with their four-hour appointment windows scheduled during a typical workday. In buildings with MDU wireless, new tenants do not have to deal with this hassle. They can have their Internet access quickly turned on by the building management, eliminating these frustrating appointments. Existing tenants can also have their Internet service cancelled or suspended quickly when needed. MDU wireless has its own challenges to overcome in order to deliver fast Internet to tenants. Building codes require that apartments have many safety features to minimize the spread of fires and damage from natural disasters. These requirements are necessary to protect the lives of tenants, and the property itself. However, thick walls, metal shielding, and doors can block wireless signals. It is important that the WAPs installed are capable of dealing with these challenges. Data security is a major concern with any wireless installation, as well as signal strength and interference. Tenants living in close proximity to one another need the assurance that their neighbors will not be able to access their data. This is another benefit of MDU wireless. Most residential WiFi equipment does not have the latest security technology capabilities, and many tenants who install their own WiFi equipment may not use the security features available to them. Building owners must hire a MDU wireless installer, like Deep Blue Communications, that has the installation experience and installs only the best equipment to meet the unique challenges of an MDU installation.